Switch and save with us! Cut your household energy bills down to size with our collective energy switching service. Community Energy Switch offers three collective energy switches a year as well as a price comparison and switching service at other times. So far we’ve helped over 1,000 households to switch to cheaper tariffs and save an average of £277 on their annual energy bills. Whether you’re considering renewable technologies, a new heating system or other energy efficient home improvements, making decisions on future investments in your property is much simpler with some impartial expert advice behind you. 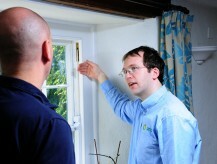 Get your prescription for lower energy bills by using our new Home Energy Health Check service. As a householder, having an energy performance certificate for your home could help you identify ways to save money on your energy bills. You’ll need an EPC if you’re selling or letting your property, or to access the Feed-in Tariff. Call us to make an appointment with one of our fully accredited assessors. Our independent energy advice service provides householders in Cornwall with information on insulation, heating and managing energy bills, including access to grants for insulation and heating. 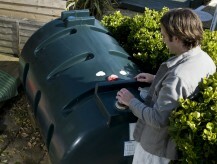 Spending too much on your heating oil? 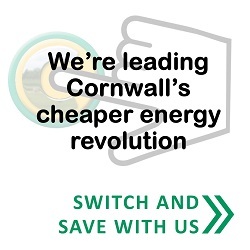 By bringing together the collective buying power of users of oil fuelled heating in Cornwall we’re working to help householders across the county to access competitive prices to reduce their heating bills. Community Energy Plus is an award-winning social enterprise that provides complete energy answers to help householders in Cornwall enjoy warmer, energy efficient homes as part of a more sustainable future. Since 1998 we have worked in partnership with a wide range of public, private and third sector organisations to support a variety of innovative projects relating to energy efficiency and renewable energy including community ownership models. We’re working with local installers to provide access to grants for boiler and night storage heater replacements though the Government backed, Energy Company Obligation (ECO) scheme. We’re working to help householders across Cornwall and West Devon to access competitive prices for heating oil to reduce their energy bills.